Let’s be real: No one—not students, not parents, not even tutors—particularly likes the SAT or ACT. But because standardized test scores constitute a large part of a college applicant’s overall profile, we put up with them because, well, we must. At times, the SAT and ACT can seem incredibly unfair. When it comes to standardized tests, not every student is created equal. Many suffer from text anxiety and have a difficult time performing in the a tightly regulated environment of a standardized test. 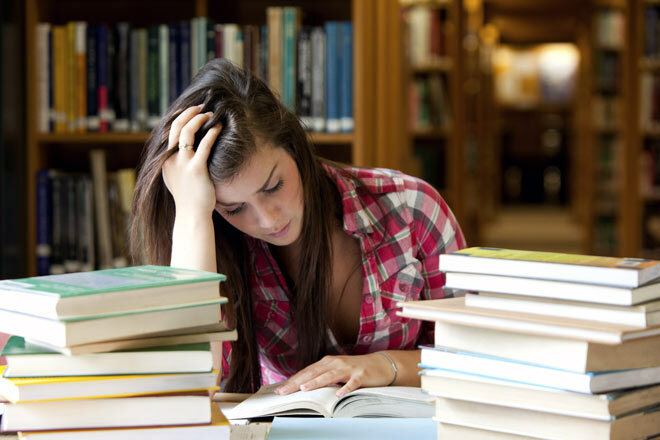 And most of the time, it seems as if the SAT is designed to be confusing—to catch students on small, technical mistakes or trip them up with confusing questions and misleading answers. As expert tutors who've worked with hundreds of students, we know two things. What we mean by this is simple. The SAT and the ACT don’t, for the most part, test students on actual knowledge or academic ability. Rather, they test them on their ability to take a standardized test. How to take problem-specific shortcuts. We've spent hundreds of hours helping students shore up the conceptual areas in which they’re weakest. But the thing that adds the highest number of points to a student’s score, the thing we spend most of our time working on? Test strategies: simple processes and tricks that, applied over the course of an entire test, can easily raise a students score by ten, twenty, or thirty percentile points. Thing We Know #2: Any student can dramatically improve on the SAT or ACT just through mastering these test-taking strategies. For an example of what I’m talking about, take a look at the chart below. 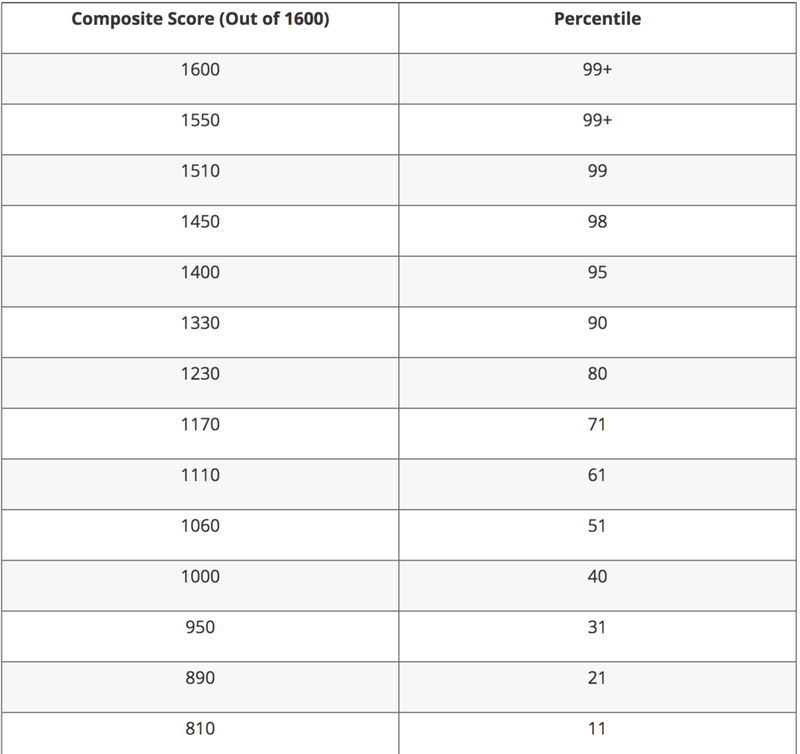 What you see there is a list of composite (total) SAT scores and their corresponding percentiles. Here’s what you need to understand about this data. The gap between the 97th and 99th percentile is incredibly difficult to bridge. This is due to many things, such as the natural variety in difficulty and conceptual focuses found from test-to-test, but most of all due to the number of additional correct answer one needs to get in order to move two percentile points. To receive a score in the 97th percentile in math, one needs to answer 54/60 questions correctly. To move just two percentile points up, however, one needs to answer 60/60 correctly. Got 59/60 correct? Doesn’t matter—you’ll only pick up one point. Now, look at the difference in percentile change made with each additional point added at the lower score ranges. Say you’re a student who scored a composite of 1200, which translates roughly to the 75th percentile. At this range, each correct answer you get translates to between 10-20 extra points to your composite—which, in turn, correlates to between 3-5 percentile points. By getting only a few extra questions right, you can move the needle on your composite and percentile scores dramatically. It means you don’t have to be a natural test-taker to score well on the SAT or ACT. All you have to do is know when and how to apply test-specific strategies. By applying these strategies consistently, you’ll consistently add points to your win column. At every score range but especially at low and middling ranges, these additional points will translate to massive composite score (and percentile) gains. So, are the SAT and ACT stacked against students? Yes. Do they test students on real academic knowledge or ability? No. But, by learning the strategies native to the two tests, can students learn to beat the SAT and ACT? Double yes. At North Coast, we help students learn how to do exactly this. We teach simple yet effective strategies that reliably raise student scores. If you’re ready to work with us to and beat the SAT or ACT and to raise your score, get in touch with us below. Contact us within the next 24 hours and receive a Free appointment! Yes, I Want to Schedule A Free Appointment!